I heard that NTU had a great reputation for Art and Design and I loved the look of the course and facilities. "I heard that NTU had a great reputation for Art and Design and I loved the look of the course and facilities; particularly those in Bonington." What do you enjoy most about Decorative Arts at NTU? "I like the fact that the course allows you to explore and experiment with many different materials such as resins, wood, metal, ceramics, print etc." 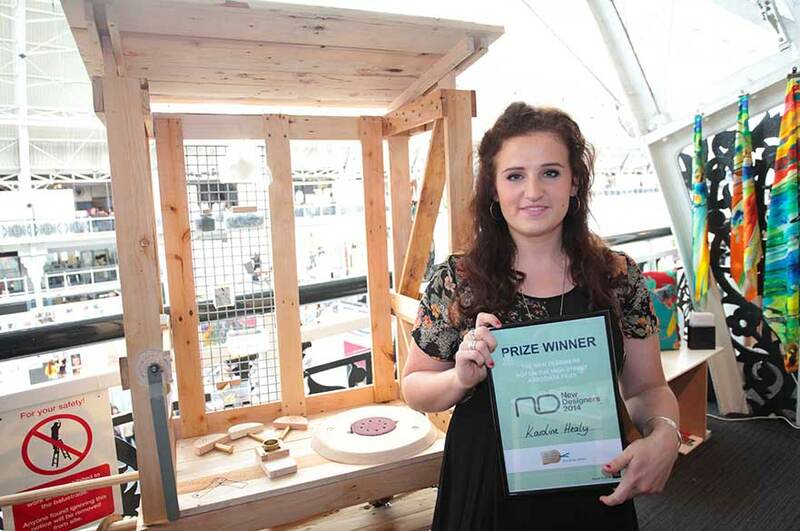 How did you feel when you were selected as a winner for the Not On The High Street Associate Prize? "Very happy! It’s always nice to win something and winning this award has given me the confidence to try out new things. "My prize includes free membership to notonthehighstreet.com, a free photo shoot of my product, my product featured in their 'new seller' spot on the homepage, an introductory blog post about myself, and a year’s mentoring with a Not On The High Street Account Manager." What was your idea and inspiration for your work? "The inspiration for my work came from my interest in process and looking at how things are made. I have always been aware of environmental issues and enjoy exploring the potential of waste materials, especially plastic." "In final year I took part in the Kenyan Artisan Makers live brief. It involved designing a jewellery range for traditional crafts people in Kenya that enabled them to use traditional skills to work on designs that are intended to appeal to a wider western market. My designs make use of waste leather and other easily obtainable materials such as brass. The finished jewellery will be available for sale in the UK." "The workshops are great, they allow you to make anything you want! I particularly like the Bonington Shop as it is very handy and Bonington Gallery as it has held some interesting exhibitions. At University level the location of the facilities are great as they are all close to the city. The library is open 24 hours and all the computers are installed with all the creative software you need."